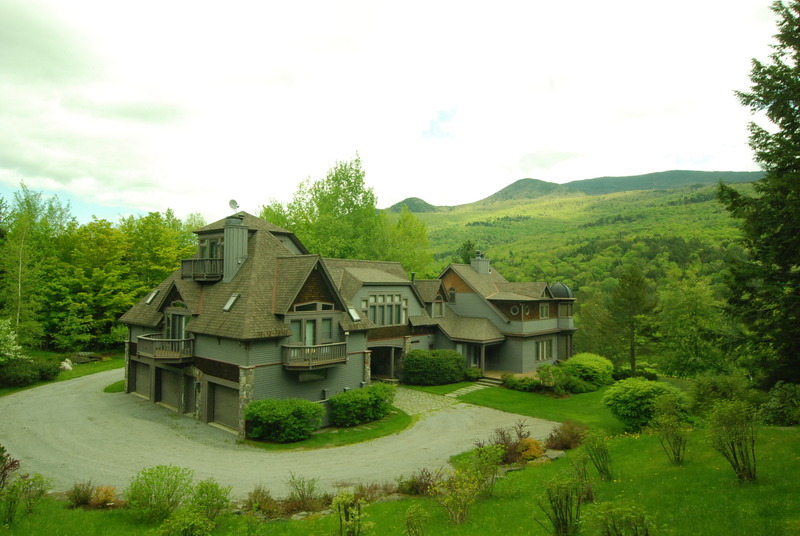 Stone Hollow is an extraordinary home with sweeping views of the Worcester Range from floor to ceiling windows. There is an apartment or guest quarters featuring 2 bedrooms,kitchen, living rm with fireplace. A three season porch with fireplace is off the kitchen. Large pond with pond pavillion, stone gazebo with firepit. and many other architectural details that makes this one of the most exciting homes in Stowe.